I would just like to take this opportunity to thank you, the bus went down a treat with our young people, The whole experience and services was great, no complaints, great value for money! Our kids had a ball. Thank you once again, and we’ll be in touch in the near future. We all had a fantastic time on the playbus on Friday. The booking process was very good and all emails were answered quickly. The driver was very pleasant too and was talking to all the children. He made us all feel welcome and everyone had fun. 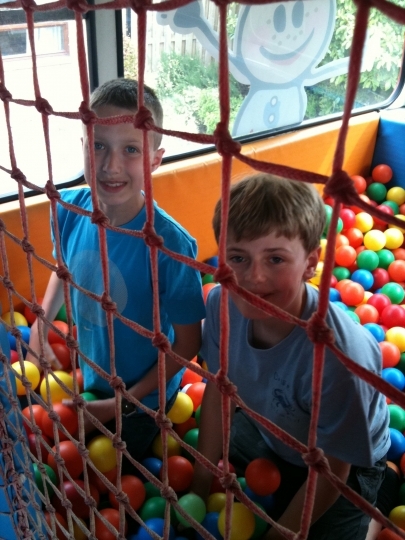 We found the experience of having the Playbus as part of our Fun Day a very enjoyable one. Children and parents alike were very impressed and the children talked about it for ages afterwards.The whole booking process was straightforward. Staff we spoke were very helpful and, on the day, Andy was friendly and helpful. The website is useful and informative. We’d certainly consider booking again. The bus arrived to us earlier than we had booked which ensure the children that there full time that was paid for. 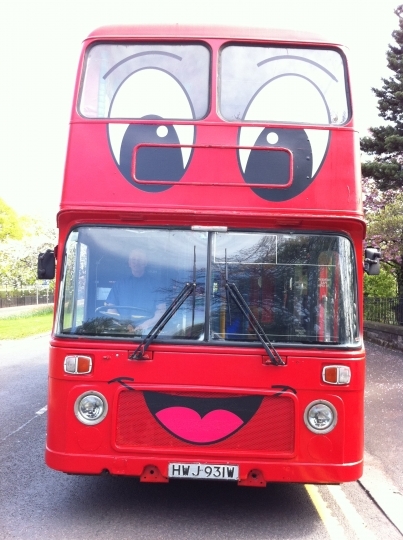 The driver was very pleasant and answered all the children’s questions. The booking process was straight forward. 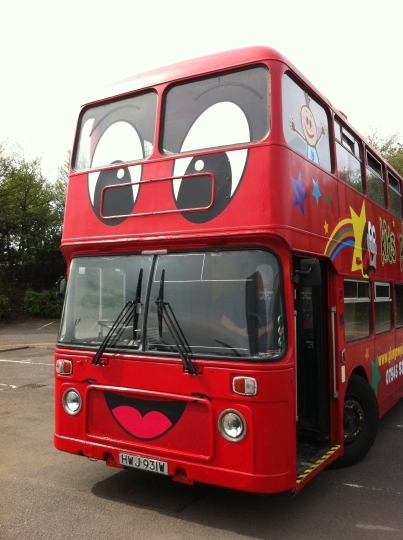 We as a company will definitely use the playbus again the children are already asking when the bus will return and we have an event later on in the year. Parents were interested in the idea for children’s party. They loved the idea that the rain would never spoil the experience. Many parents have visited the website and were very pleased with all the information. Overall we would rate the experience as excellent. Very good costumer services. We found out about the Playbus through a leaflet sent to the Nursery so had a look at the website which was really easy to use. I booked over the phone and had no problems with the process. The driver was very prompt, extremely helpful and friendly. There was loads to do on the bus, the children (and adults) had a fantastic time. We would definitely use it again and would highly recommend it to other nurseries.Hope to see you next year. Thank you so much for making our party fantastic! We found the booking process quick & easy. The bus was excellent value for money. The Driver was very friendly and helpful. 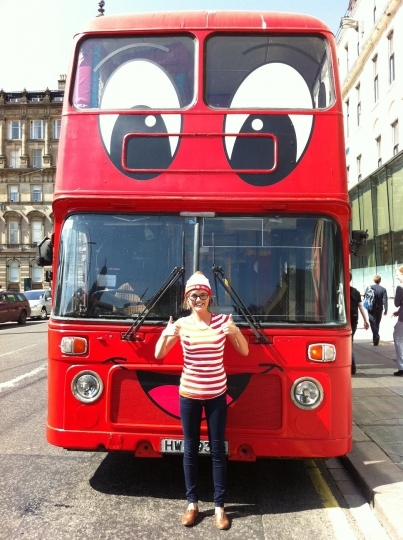 Hamish the bus was amazing! I will be in touch over the holidays to try and arrange a hire. The website is well thought-out, user friendly and informative.The booking process - extremely easy. Value for Money was excellent! Andy was very helpful and friendly and great with the kids. 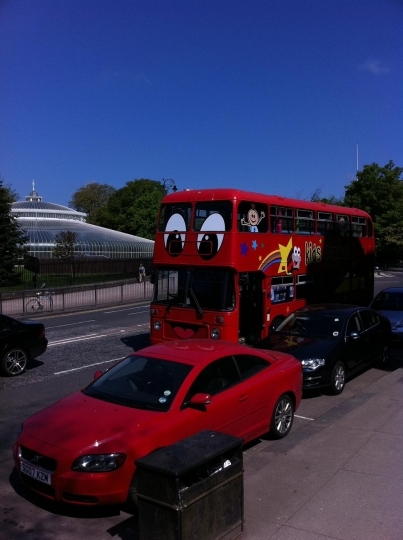 And the bus was kid heaven, they absolutely raved about it! Just a note to say thank you very much for letting our parent council hire your bus at such short notice. Even through the rain we had plenty of children having plenty of fun. The service provided was fantastic. Thank you very much for introducing us to the Playbus. The children had a fantastic time and we will certainly be booking it again. They thought it was fantastic although they did want to travel on it too! It was a great fun experience for all - the staff enjoyed playing on it too! Booking was such an easy process through email and telephone. It was nice that you checked everything was ok before hand. The website gave good information and provided great pictures to excite the children and show them what to expect. Fantastic price and great service. Thanks very much! Thank you very much to the Glasgow Play bus for their input at our Glasgow Life company event on Saturday 26th February 2011 at Springburn LC, The event was a great success with the play bus being the main attraction. 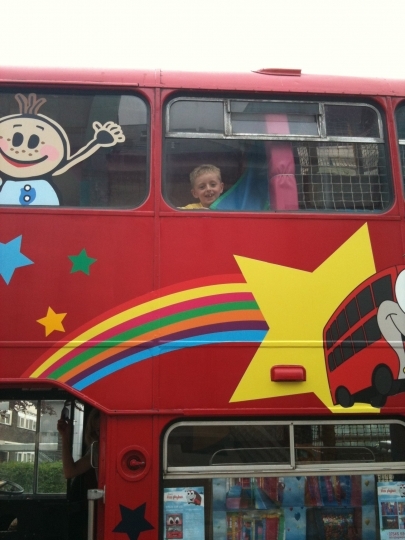 All of the children who attended the event had a great time playing on the bus and the parents were very impressed. 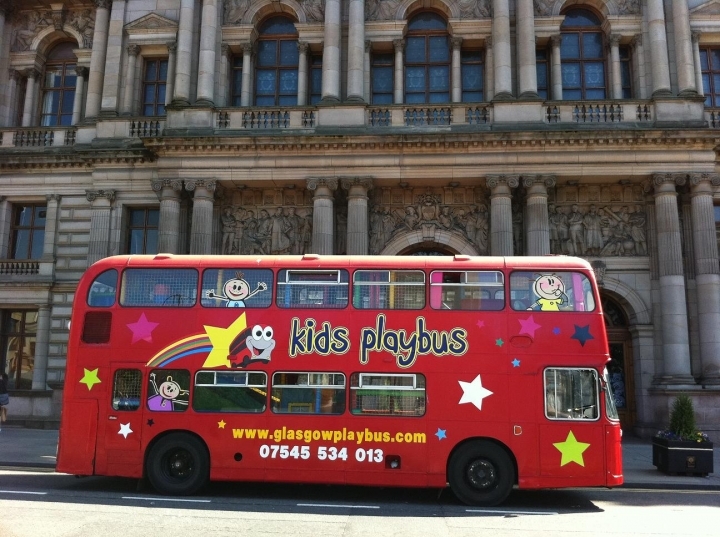 The Playbus arrived well before it was the needed, in great condition and entertained the children all day long. Definitely worth booking for events! Hi, kids had a great time so did the parents mum even got a wee seat on the drivers seat for young and old i will load up my photos i would book it again well and truly worth it even my baby daughter enjoyed the ball pit and all the parents in the street liked it see you next year arrived before the time excellent all round. 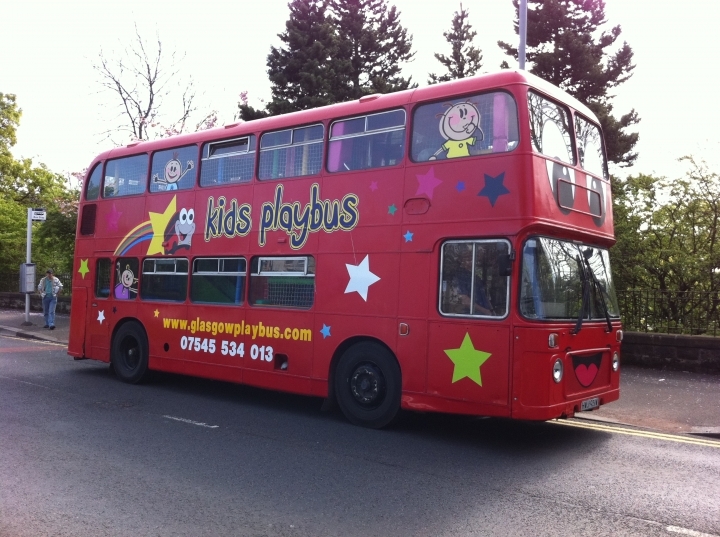 The children had a very good time on this bus really enjoyed it..
To all at Glasgow Kids Playbus,Our Wee Mans 4th birthday was amazing thanks to him and all his friends - about 30 !!! of the little darlings - having an absolute ball on your fab bus.To hear the wee souls excitedly screaming " this is amazing " as they ran and played on the bus made our families birthday for the Wee Man. They could have played on it all day and night!Very professional from booking until the bus left our home. You were very reliable and did everything we asked. Thank you and im sure you’ll be run off your feet from the Wee Mans friends parents wanting to give them a cracking birthday experience too.